Tigerair Australia will begin direct services between Sydney and Perth from December 19, marking a further significant development in the airline’s route structure. The airline will fly up to six weekly return flights between Sydney and Perth and complements the existing Melbourne-Perth route, which Tigerair flies twice daily and up to three times daily in peak periods. The Sydney flights will depart at 1955 or 2155 depending on day of week and arrive in Perth at 2155 or 2355, returning from Perth at 2250 or 0100 to arrive into Sydney at 0605 or 0815. Tigerair Australia has launched five new routes this year including Sydney-Coffs Harbour, Sydney-Cairns, Sydney-Alice Springs, Melbourne-Alice Springs and Melbourne-Sunshine Coast. The new Sydney-Perth route will become the airline’s sixth new route to be launched in 2013. 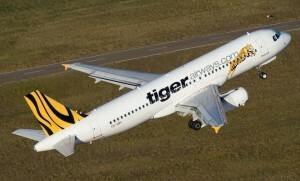 Tigerair currently has 17 domestic routes.